When on the topic of open offices, people often think of the setup that Google and many other start-ups have. This environment may be conducive for creativity, innovation, bringing ideas together and forming a connection with colleagues, but it also has cons that you must consider. 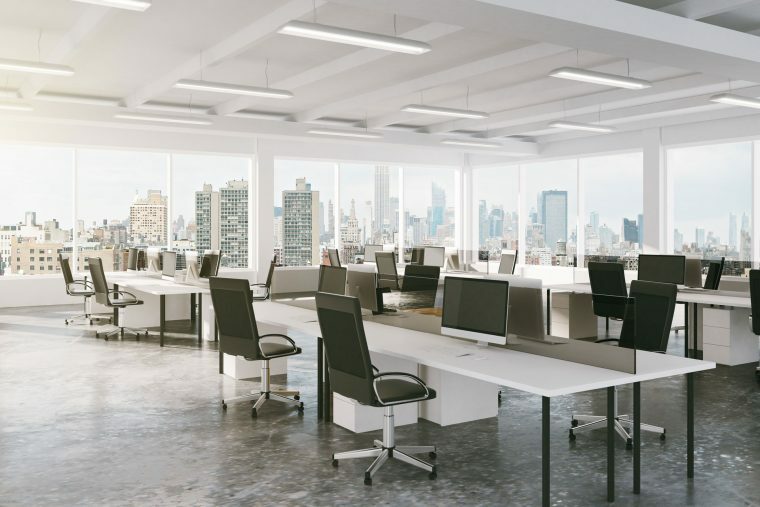 The open space makes it easier for viruses to float around and spread to co-workers as there is no physical barrier to stop it from happening. The shared tables, chairs and open spaces increase the risk of employees getting sick. Germs will linger in the air or surfaces whenever a person sneezes or uses their hand to open doors or gives items. Instead of staying healthy for work, open spaces may cause employees to go on sick leave more often and may result in lack of productivity due to poor health. The selling point of open spaced offices is the lively conversation that may lead to an innovative and game changing idea. This may wear out some employees who want the comfort of their own space to think clearly before they are ready to brainstorm. Some people work better when they can hear themselves think without the distractions caused by colleagues chatting or music blaring. Open space offices are not a bad thing; all you really need to do is find balance. Determine which parts of your office are ideal for open spaces and which ones are better off with partitioning. The Caretakers provides top quality office partitions, fitouts and refurbishments, portable screens, and workstations at discounted rates. We make sure our customers get what they need and set them up how they want to. We use an innovative idea called Dustfree Sanding System. This makes a difference because it extracts airborne dust as our team will sand the walls, making sure that clean-up is simple and computer equipment are dust-free. Our demountable office partitions provide users with ease of relocation and flexibility across your building or the city. The modular panels come in various heights, which make them suitable for workstations or floor to ceiling application.